My new line of hand-made jewelry features one of a kind wearable art made from natural materials. These earrings are made from the Canadian Oak tree's whirlybirds and hand painted and shellacked to achieve a durable high-gloss. 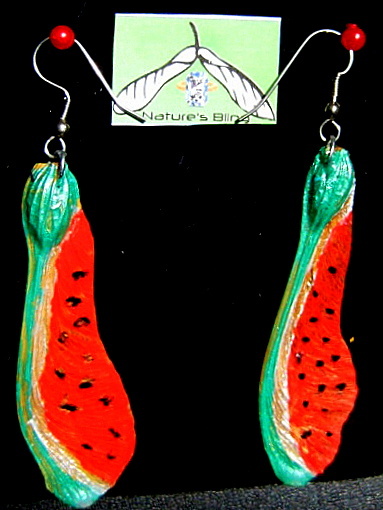 Earrings can be mailed wordwide, standard shipping costs apply.